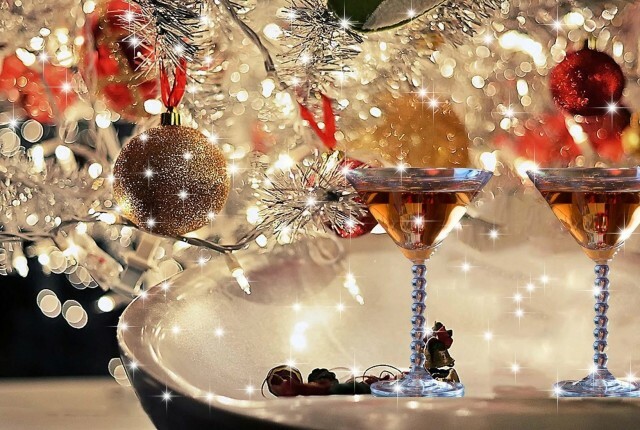 Vermouths, infused-drinks, Prosecco alternatives and seasonal beers are set to win in the on-trade this Christmas and into 2017, according to wholesale supplier Matthew Clark. Matthew Clark is tipping the growth of European-style aperitivos, with the rise of small-batch, less mainstream bitters and vermouths, that use unusual aromatics. These tap into the move away from sweet drinks, Ceri Lewis, category manager for spirits and RTDs at Matthew Clark said, and can be served in a variety of ways, being drunk neat, with soda as a spritz or in a cocktail. “Using different bitters and vermouths to create a unique serve for these drinks can really help to encourage consumers to branch out, and Spritz serves can come into their own at Christmas; cutting through richness with citrusy and zesty notes, “ she said. Vermouths to look out for include Piedmontese and Amaro Montenegro which contains liquorice root, saffron and orange peel. The UK-love affair with Prosecco also shows no signs of abating with the company’s sales of Italian sparkling white wine in the on-trade growing by 48% year on year, it says, (Matthew Clark Italian sparkling white wine figures, MAT to end of November 2016) but there is also evidence of greater experimentation with both classic wine drinkers and millennials looking for greater depth of flavour and “food-matchability”, according to wine supplier manager Tiffany Mogg. “Over the festive season and into 2017 we can expect consumers to demand sparkling wines which aren’t just a flash in the pan – they must be able to handle the bar, the toasts and see through an entire three course meal,” Mogg said. She continued that offering something the consumer doesn’t recognise isn’t “necessarily a big risk” – pointing to alternative sparklers such as modern style Cava, Cremant and South African wines, and English sparkling wines. Beer is also a focus, and Matthew Clark’s beer, cider and softs category manager Justin Wylde said 2017 was likely to see an “interesting” change in the craft beers scene, with greater appreciation of UK-grown styles, driven by cost and availability, as well as the continued growth of in beer and food matching. “With the exchange rate and current shortage of American hops, and a turn towards traditional recipes, dark beers and home-grown UK craft like those on offer from Freedom, Curious and Two Fingers breweries will become increasingly popular,’ he said.